To be perfectly straight right up front, I like chickens. In fact, I have an inordinate fondness for livestock in general, perhaps due to a long family history of farming. I am the daughter of a farmer, and I come from a long and proud line of farmers. Even today, along with my sisters, I co-own the family farm my parents operated for many years, and much of my childhood was spent visiting the farms of relatives, even long after my parents had opted to live in the city. Over the past few years I have watched the movement to bring elements of rural life into urban settings with interest, particularly as it pertains to the idea of keeping chickens in cities. There has been a sharp increase in this practice, with many urban communities choosing to allow the keeping of chickens. 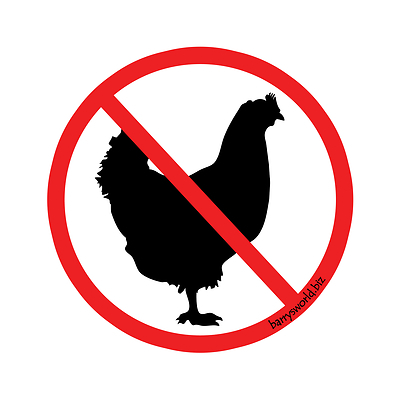 I must admit on this, though, I come down on the nay side, and suggest we continue to just say no to urban chickens. Now, there is something quite calming about all that clucking and scratching and pecking, but inevitably where there are chickens eventually there is a rooster, and while that crowing at the crack of dawn thing is a lovely sound in the country, in the city it simply becomes an addition to the overall noise pollution of bad mufflers, loud lawnmowers and other city noise annoyances. While chickens are decidedly less offensive in the olfactory department than pigs, they still come with a distinctive odour that not everyone enjoys. On a hot summer day the idea of the entire neighbourhood taking on the smell of a chicken coop is not quite as appealing as it may seem. 3. It’s really not always in the best interests of the chickens. As there has been an increase in the keeping of urban chickens so too there has been an increase in allegations and concerns over the neglect of said chickens. While the idea of keeping backyard chickens seems lovely, the reality is often less so when the onerous day to day weariness of animal husbandry sets in, and some of those who are less prepared (perhaps knowing little of livestock other than what they have read on the internet) find themselves overwhelmed. As someone who worked in veterinary clinics for ten years I know the difficulty in pursuing charges of animal neglect, tough enough already to obtain a conviction in the case of cats and dogs but chickens adding new complexity to the issue. And while those are the three primary concerns I identified, there are others that float around in my head, like the increased contact between chickens and humans and the potential risk for the development of zoonotic disease (meaning diseases that can leap from animals to humans and cause serious consequences, such as swine flu or avian flu). While the risk of this is minimal with backyard chickens every time we increase our exposure to animals we increase our risk of zoonotic disease – and then again there are the old standard diseases, such as those bacterial infections chickens and other livestock can carry and transmit to humans. I do not mean to be harsh with this indictment of the concept of urban chickens. I quite like chickens, and I too find the idea of my own chickens intriguing – but some animals are best kept in certain settings, and chickens strike me as one of them. Allowing the keeping of chickens in an urban setting is inevitably going to lead to questions about urban sheep and urban goats, taking us down a path where the line between urban and rural becomes increasingly blurred. The blurring of lines in animal keeping is very common – ask me sometime for the stories from my vet clinic days of folks like the people who bought a tiny bobcat from a roadside dealer and discovered when it hit sexual maturity that it was a menace, or the person who tried to give me an alligator, acquired through dubious means, that they were keeping in a bathtub in downtown Toronto. Our desire to feel close to animals, domestic and wild, often over-rides our good sense and we forget the reasons why it may not be best for us – or, more importantly, for them. I realize the pro-urban chicken crowd may come after me ferociously on this one, pecking away at my arguments against the keeping of chickens in a city – but on this one I am afraid I am not chickening out, even if there are those who think I should cluck off.